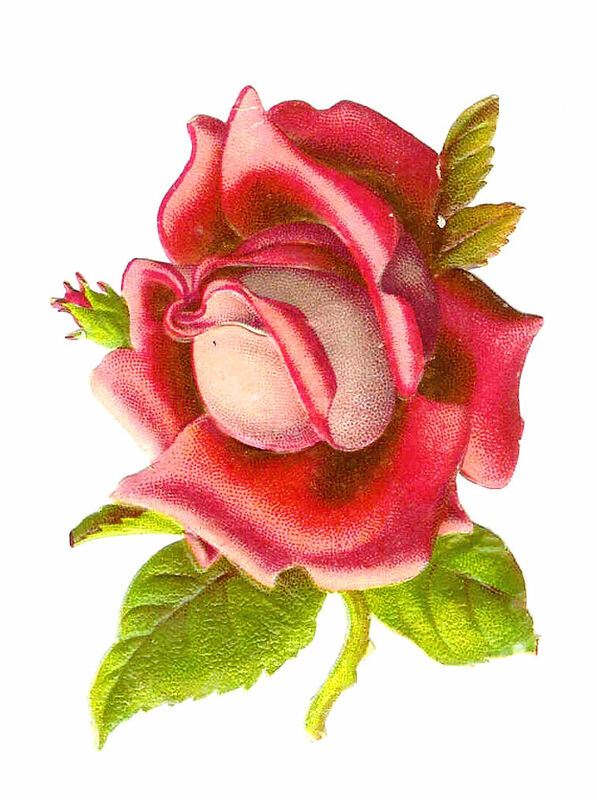 This hot pink rose clip art is gorgeous! This is a small Victorian die cut from my 1879 scrapbook. The color is simply stunning. I love the contrast of the lime-green and hot pink together. Enjoy!